Crypto markets have pumped to a new 2019 high; Ontology, Ethereum and EOS are flying, Binance Coin slowing down. Contrary to predictions crypto markets have not pulled back and have actually gathered momentum and made further gains today. 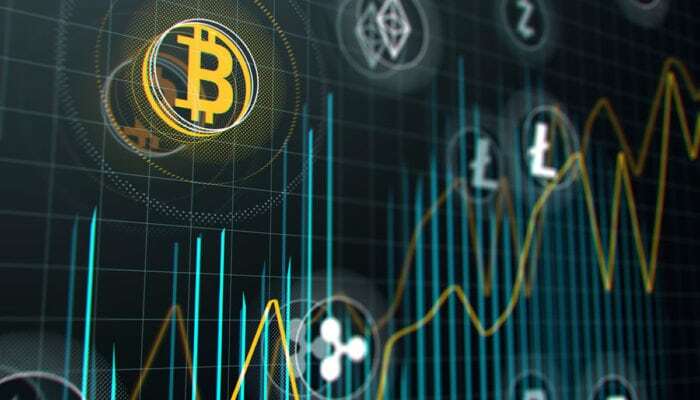 The big cap cryptos have broken key resistance levels and things are looking positive at the moment as total market capitalization reaches a new 2019 high at over $140 billion. Around 12 hours ago Bitcoin finally broke through the $4,000 resistance barrier and made another surge to $4,200 before pulling back slightly. The move represents a 5% gain on the day as volume cranked up to over $9 billion. BTC has now reached the crucial 200MA and another upside break through this would be very bullish. Ethereum is again one of the top performers with an 11% pump to break through $150 and settle at $165, its highest level since mid-November last year. Over the past week ETH volume has reached its highest levels for over a year as it tops $5 billion. XRP has not enjoyed a similar pump and has only made 5% widening the gap between them to over $3 billion now. EOS is also having a big pump in the top ten today as it surges 12% to reach $4.30. Bitcoin Cash has added 9% to pull it back over $150 again and Litecoin keeps moving with another 7% added during today’s Asian trading session. Binance Coin as usual has done the opposite and remained lethargic with no real gains during this rally. Big movers in the top twenty are NEO and Maker with 13% added each taking their prices to $10 and $755 respectively. Ontology has surged back into this section with a massive pump of 25% on the day. NEM and Monero also going strong with 9% added each. Aside from ONT a massive fomo pump of 55% has pushed S4FE into the top one hundred. Loom Network and Electroneum are also getting some of that action today pumping 16% each. There are no altcoins dumping at the moment and the only red on the boards is from stablecoins. Total market capitalization has reached a new 2019 high as $10 billion gets pumped in shifting them 6.7% on the day. There is now talk of the beginnings of a recovery as market cap tops $143 billion, the highest it has been for two months. Daily volume is back over $30 billion again and things are looking very bullish in crypto land this Sunday.